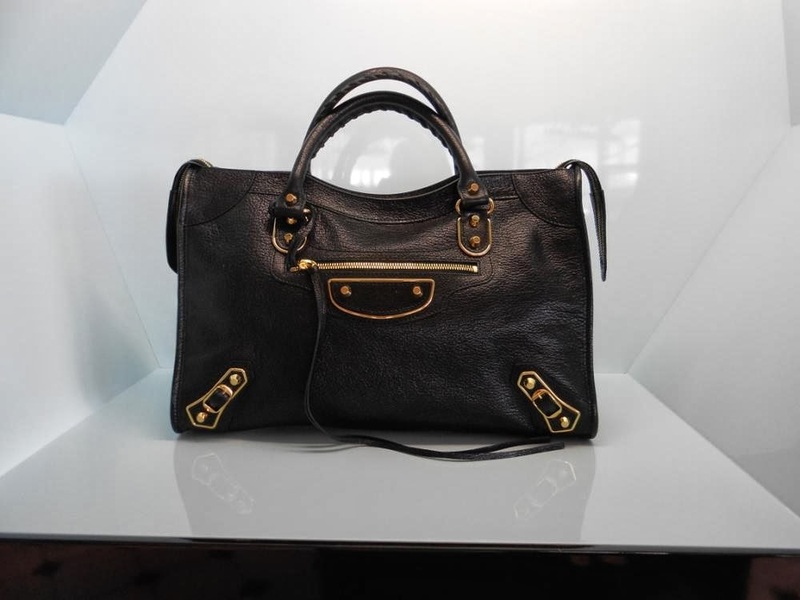 This collection by Balenciaga has goatskin leather bags with gold plated metal trim for a new look! The golden trim is something never done before by Balenciaga. Matches Fashion currently has the burgundy City and black Envelope Clutch available. Here are some items that are available for pre-sale (40% off) at your local Barneys store. The items below are still full price on the website. I would suggest calling around because these babies are going fast! Also, the Balenciaga boutiques usually do a presale for 30% off . 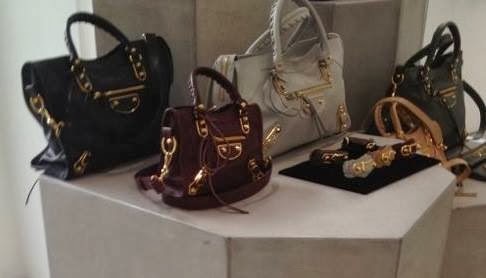 They have some seasonal items included like the marble cities, select suede bags, select Tube bags, select Padlock bags, select Papier bags, and iPad cases. I saw these shoes for pre-sale in Nordstrom for 35% off. These may also go on sale at Barney's too. 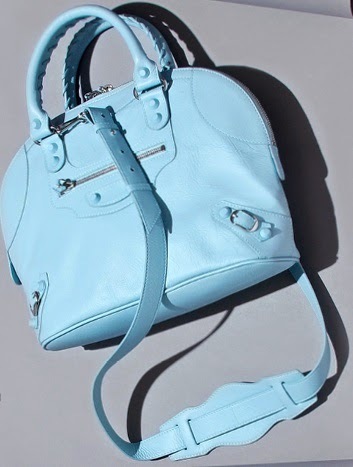 This season's holiday collection by Balenciaga features matching colored rubber studs and smooth goatskin leather in beautiful colors. This season Balenciaga shows us that marble is not just for home decor. They have brilliantly incorporated the luxurious marbling effect into shoes, ready-to-wear and accessories. 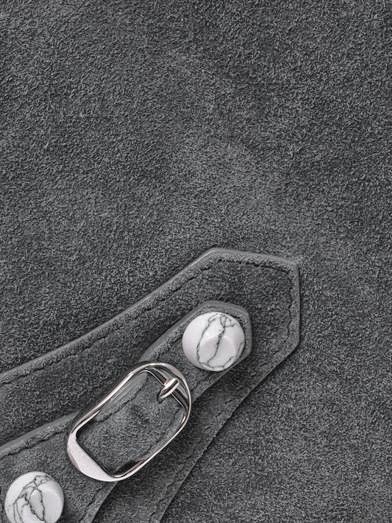 For their motorcycle bags, they've added marble studs and marbling effect on their leather. It is a very interesting take on their classic bags and shoes! The men's sneakers look especially cool! Kylie Jenner was spotted leaving Barney's New York in Los Angeles on October 11, 2013. Kylie sports a Balenciaga Screen Print T-Shirt in black while sister Kendall carries a black Classic City. Kylie's bag is a Chanel Wallet on Chain. Rosie Huntington-Whiteley was spotted arriving in London on September 27, 2013. 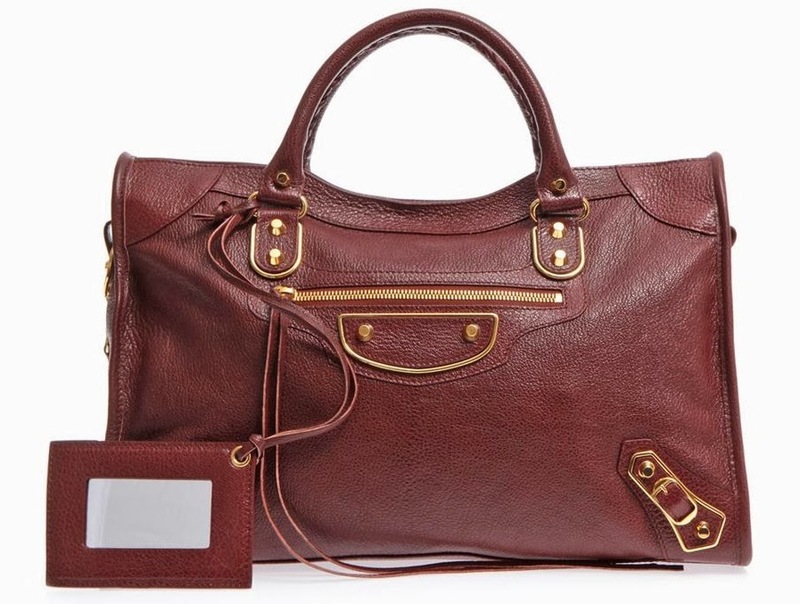 The actress was carrying the gorgeous Balenciaga Voyage bag with shiny nickel hardware. 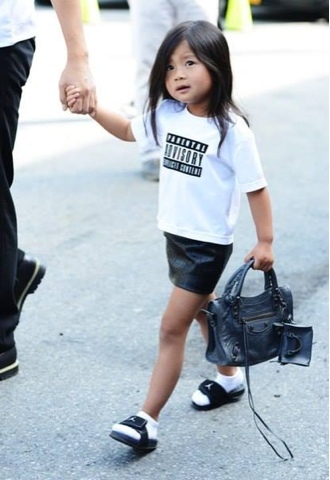 Creative director Alexander Wang has an adorable little fashion muse, his niece Aila! 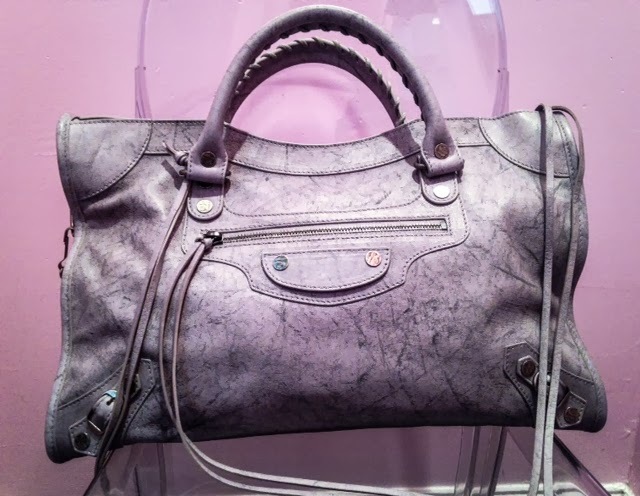 She has not one but two Balenciaga bags, the Classic Mini City in Anthracite and the Mini City Key Ring! Her sandals are by Nike. Penny Lancaster was spotted getting in a car with husband Rod Stewart in West Hollywood, CA on August 29, 2013. 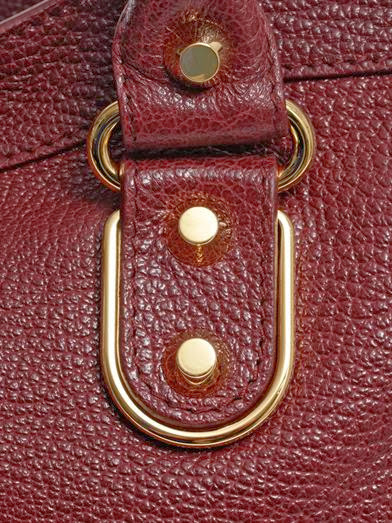 In Penny's hand is a fabulous Balenciaga Black Envelope Clutch with G12 Hardware. Recently, the Envelope Clutch was been made even more versatile with an added shoulder strap for a cross body option. 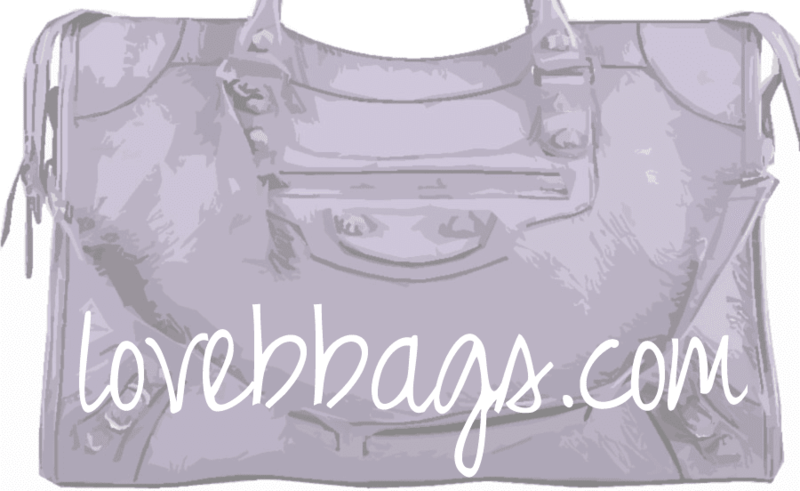 Small messenger bags are all the rage right now!